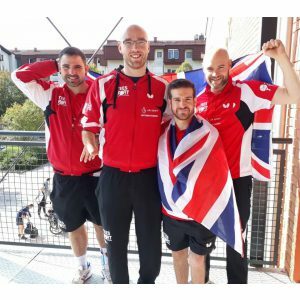 Coaching Blog – Andrew Rushton experiences the Para European Champs! Arriving at the venue four days before the event proved to be great preparation for the team. We had our targets and goals set out and these gave us a clear understanding of what we wanted to achieve at the Championships. The players and staff had worked work hard and this had given us the best possible chances of achieving the desired results! Bringing home seven medals in the Singles event had been one of the highest tallies ever for a Great Britain team! A highlight being a podium clean sweep for the class 1 players and a superb performance by David Wetherill to reach the final of his class event. The Team event had be running for the past four days and had produced some excellent results for Team GB including three medals to take the total tally to ten! There was a bronze for the class 8 team of Ross Wilson, Aaron Mckibbon and Billy Shilton and a first medal for Kim Daybell and Ashley Facey Thompson – amazing to watch and made me feel proud when considering how hard they had fought for their medals. Walking out for the final against Croatia, I could really feel the butterflies but knew that the players had prepared well and had a good chance of becoming European Champions! The final started well with a doubles win for Paul Karabardak and David Wetherill, Paul then had a fight on his hands in the singles going 2-nil down before fighting back – I called a time out in the 5th to break up the momentum of Jozick the Croatian player – Paul then did an amazing job to go on and win the match and the European Team Gold Medal!!! 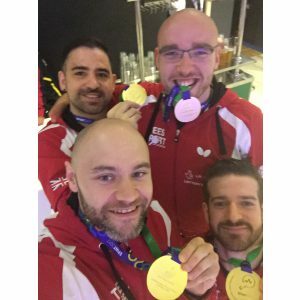 The experience I have had with the GB Para Table Tennis team has been nothing short of fantastic! The level of professionalism, hard work and attention to detail from players, coaches and support staff motivates me to become the best coach I can be and help these players to achieve more medals at major championships – next stop World Championships 2018!! Andrew is currently Head coach for Halton Talent Development Centre and National Coach for the British Para Table Tennis Team! Andrew has joined #TeamBribar this season and is sponsored by TIBHAR. 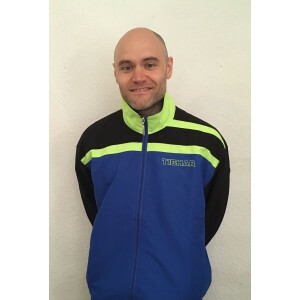 To find out more about Andrew read our Q&A Interview with him in the coaches section!